The gift bags are packed, the trucks are being loaded with books, T-shirts, tools and gloves, and all the plants that will be displayed in our education display are looking as good as they are going to look — MSHS is going to the Minnesota State Fair! 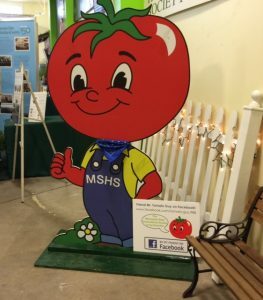 Mr. Tomato Guy greets visitors and poses for selfies! 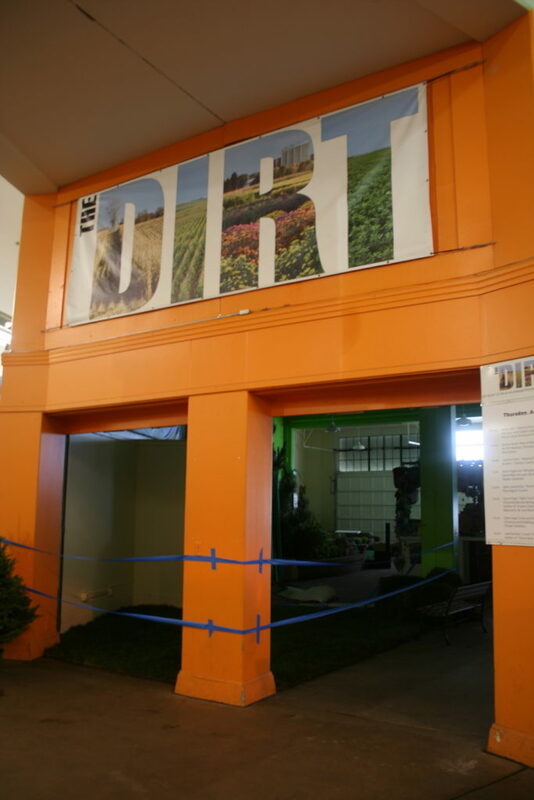 Our booth is located in the Dirt Wing of the Agriculture/Horticulture Building at the corner of Underwood and Judson. We are located not far from the spot where you get off the Skyride. We are right in the center of the Dirt Wing. Mr. Tomato Guy will be there for the 10th year, greeting visitors and posing for selfies with anyone who wants. 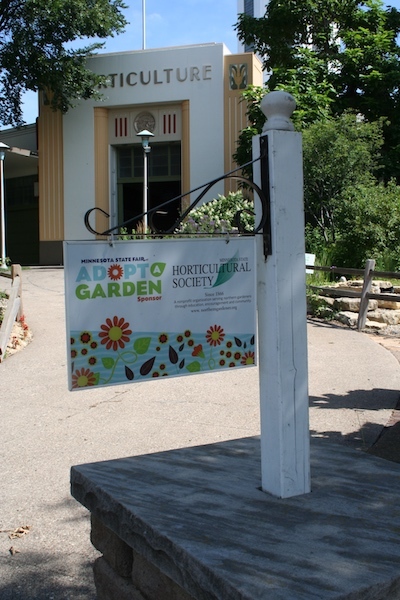 At the booth, you can see some of the garden-themed merchandise and books we have available, talk with our great volunteers and join or renew your membership. If you join or renew your membership at the fair, you’ll receive a free tote bag with gardening goodies and a lily bulb! Not too far from the booth, you’ll find our educational display, which this year focuses on growing vegetables in containers. Our staff has been nurturing the MSHS vegetable garden in Roseville all summer and will be moving many of the containers of peppers and tomatoes to the fair for the display. We’ll have volunteers there to talk with you about the trials and tribulations of growing vegetables in our trying climate. If you happen to be at the Minnesota State Fair during the first few days, be sure to check out the Potted Plant Show, which is also in the Agriculture/Horticulture Building. This is a great event for anyone who likes houseplants, tropical plants and amazing annual displays. The Minnesota State Fair is one of the most exciting times of the year for MSHS. We look forward to seeing you at the Fair!